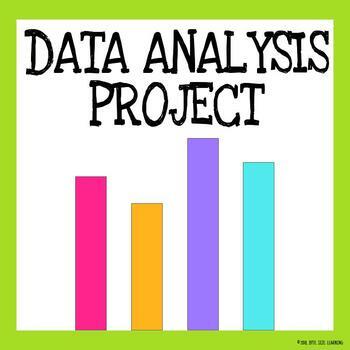 Students will use their knowledge of graphing to pose a question, actively conduct a survey, and analyze data. They will be able to display the data they've collected in a series of tables/graphs. 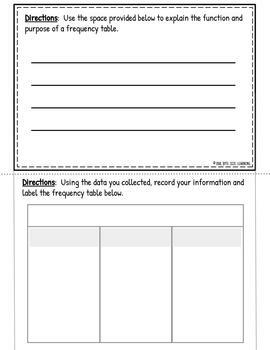 After representing their data multiple ways, students will analyze their findings, examining their tables and graphs to identify conclusions that can be made. 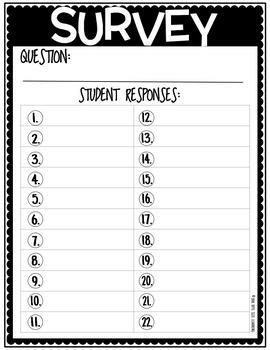 This is definitely a sure fire way to get students engaged in their learning.